Let's be clear that regardless of the differences between a virus, a trojan, a worm, spyware, adware, or malware, the key point is that you do not want any of these things on your computer. All of these things have one thing in common and that is to cause damage to your machine. Obtaining good antivirus or security software is a good start to keeping malicious software away. However, it's just like getting a flu shot. Chances are, if you get the shot, you will be less likely to catch that specific type of flu, however if you go around licking doorknobs, even with the shot, you'll probably come down with something. The point being, even with good security software, it is still important not to increase your risks by visiting potentially harmful sites or clicking unknown links or downloading unfamilair programs. Let's identify malware as many of the other items discussed actually fall under this classification. Malware, simply put, is a collective term that describes any malicious software on a computer. This includes a virus, a trojan horse, and a worm. A computer virus as a type of malware. Much like a biological virus, it is a program that can replicate itself and spread from one computer to another. It is this process of replication that gave this type of program its name. Another chief characteristic of a virus is that most prefer the stealthy approach and hide within the computer system going on undetected by the user until a pre-determined time. Some viruses harm computer system data or performance and others do nothing but replicate themselves. Yet even the simple act of continual replication can cause significant performance issues for your machine down the road. Computer viruses are almost as old as computers themselves. A virus does not simply appear on a machine, it does require human interaction. Before computers were networked together, the most common act of spreading a virus was through removable media like a floppy disk. Now, this is done through visiting malicious websites or clicking unknown links or even through emails. Yet still, there is an action required. 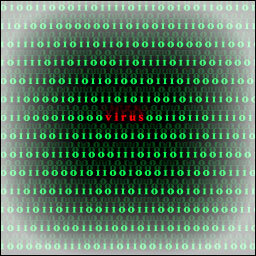 Some viruses are disguised in ways that will attract users to click on them so as to initiate the installation of a virus on a computer. However it got there, it would be best to find a way to get rid of it fast and early or you may end up losing everything. Around 1200 BC, the war between the Greeks and the Trojans lead to a seige of the massive city of Troy and its domineering wall. The Greeks, determined to win victory over the Trojans devised a clever ploy to pretend to offer a gift of a massive wooden horse as tribute to the gods of Troy. Seeing this much desired treasure, the Trojans opened their gates and hauled the large wooden horse into the temple courtyard within the city walls. Little did the people of Troy know that a small army of heavily armed Greek soldiers were hidden inside the body of the horse and in the dead of night, attacked the city from inside its indominatable walls. What does this history lesson have to do with yet another type of computer malware? The very ploy devised by the Greeks in the Trojan War is the very same ploy used by this type of program aptly named a Trojan Horse. This program disguises itself as another program (like a game or some other application to download) thus tricking a user into allowing this piece of malware to install itself into a computer. This program will attempt to destroy your computer upon installation, sometimes going so far as to wipe your hard drive clean. A key difference between this and a virus is that a Trojan Horse does not replicate itself. A Trojan Horse can actually fall into both the malware and spyware classifications. If a Trojan Horse is simply a destructive program, it is malware. However, there is much more lucrative use of a Trojan Horse to be a spyware program that is used to steal information rather than destroy it. Either way, the intent is malicious. Unlike a virus or a Trojan Horse, a worm does not require human interaction. It works completely autonomously. Worms actively scan the internet for new targets. Once a weak network is found, the worm immediately infects it then starts scanning for another target. These spread quickly especially on a network and slow down computer systems and the entire network in a short period of time. Much like a virus, the worm is a type of malware that attacks a computer and copies itself to go look for another target and tunnels its way through a worldwide network. The term "worm" was coined by John Brunner, a science fiction writer in his 1975 novel, Shockwave Rider. As mentioned before, a Trojan Horse can be a type of spyware. Spyware are programs installed on computers with the sole purpose stealing information while causing performance issues by eating up bandwidth and computer memory and resources. It seeks to covertly gather user information through the user's internet connection without the user's knowledge. Many of the items stolen by these programs are E-Mail addresses and credit card numbers and even some passwords. Spyware enters a computer usually as a hidden component of some freeware or shareware programs that can be downloaded from the internet. Before you put an embargo on all downloads, do note that a majority of freeware and shareware applications do not come with spyware. Also consider that more people are now being infected with spyware just by visiting a website where the webmaster has maliciously embedded it into their web pages. Again, this is not the norm as such sites can become banned from search engines when discovered by them. 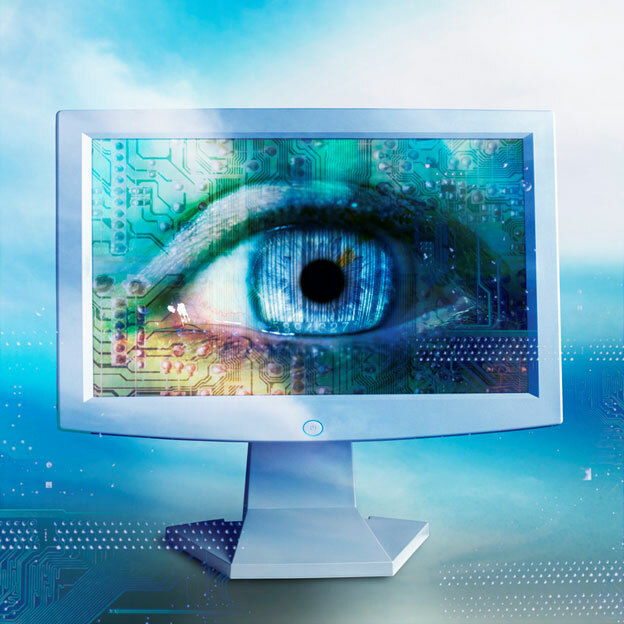 Spyware functions independently on your computer and has the ability to monitor keystrokes, scan your files and hard drive, mointor your chat and word processor programs, install new spyware and relay all this info back to its creator. Though spyware prefers its work to remain clandestine, one of the more intentional tells of a spyware program is that it changes the home page of your web browser. Adware programs enter your computer very similarly to spyware. Unlike spyware, however, these programs do not work covertly. Once infected with adware, you will notice an exorbitant amount of advertisements appearing as Pop-Ups on your machine. These ads consume network space and hinder performance as well as invite the unwitting to click on these ads and further infect their computer with potentially more malicious software or steal information. Now that you know the differences, learn to protect yourself from these unwanted intrusions. If you are wondering if your computer is infected, ask yourself if you are experiencing significant decreases in speed or performance or if pops are occurring or if programs are no longer function correctly, or if your internet browser changes its home page or redirects your web searches. Any one of those tells could mean you are indeed infected with some bug that needs to be exterminated. Some of these, especially malware, are difficult to remove once installed and can lead to the full destruction of your computer. Having good antivirus and spy/ad removal software on your computer is a good start to protecting yourself from these intruders. Another, more practical addition to add to your protection is to not visit or download from unreputable and unknown sites or emails - even if the email may appear to come from someone you know or a company you know. Lastly, if you have an IT team at your office or one that you know for your own personal use, consult them before downloading or opening anything that is questionable and definitely contact them if you have any of the above mentioned tells happening on your computer. So when going on a hike in snake country, wear boots and jeans, do not go walking through thick brush, and have the number for poison control handy! HowStuffWorks "How Computer Viruses Work"